Moving to Alaska – Day 7. You can skip this video if you are sick of the sunset timelapse fetish I am currently in love with. The sun just refuses to go down as you drive north during the summer. Our next stop was Prince George. Prince George is a city. It is the 4th largest city in British Columbia. Like most of the area, lumber, oil, and mining are the major industries. This causes large swaths of forest to look empty. There is always a smell in the town. A smell that just smells industrial. It wasn’t pleasant and we didn’t want to stick around. We figured that we needed to stock up on all of our supplies because from here we would be taking the road less traveled. You see, most people head east and then north. They take the historical Alaska Canada Highway. Otherwise know as the Alcan. I am sure that it is beautiful. The fact that the whole 1400 miles was created in less than a year in amazing. But we were ready to get away from the hordes of RVs and all the people with their small dogs inside of them. Our route took us east on the Yellowed Highway to Kitawnga where we would turn north. We needed lunch and somehow scored the best place in Prince George. 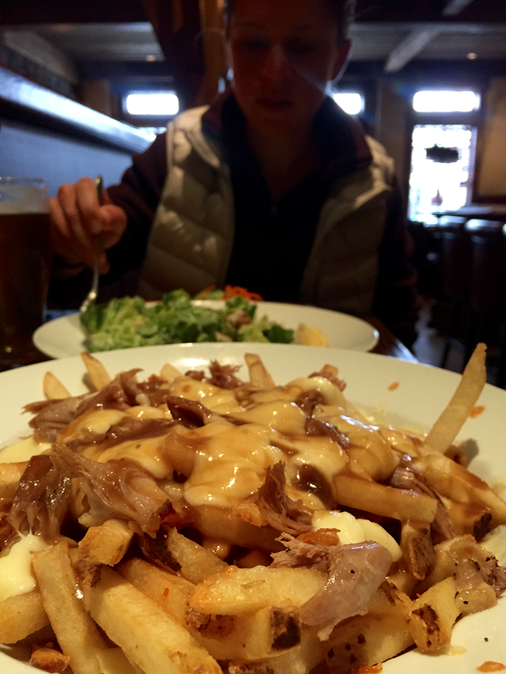 Duck confit poutine?! Maybe this town isn’t so bad. We had been following large rivers for most of the trip and it was fun to see the rivers I have only read about in fly fishing magazines or heard about from expensive guided trips. On our way to Kitwanga, we stopped short of Smithers at Telkwa to camp. It was another provincial park and someone seemed to be having a 19th birthday party. 20 kids, big trucks, loud music, and big fires. God, I am getting old. 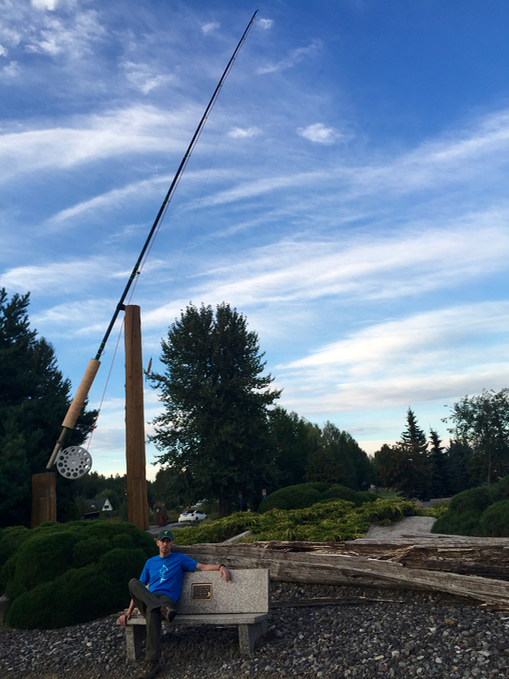 We drove through Houston, British Columbia and I had to take a picture with the largest fly rod in the world. 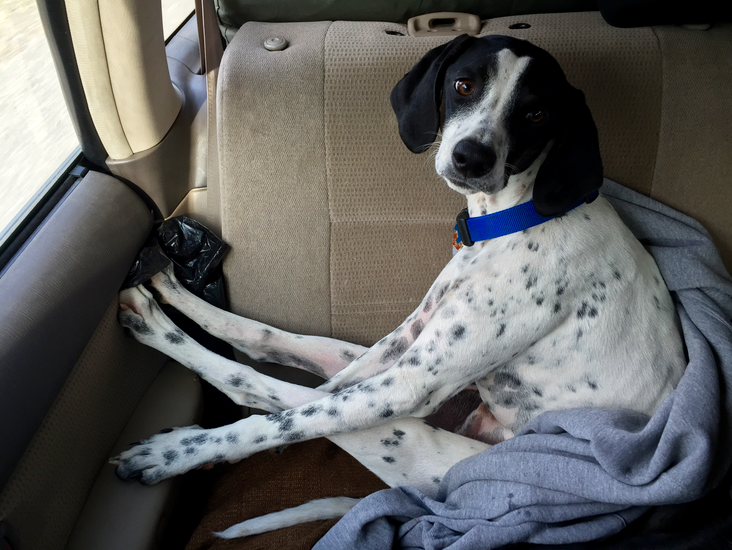 Everyone started to get a little cramped in the car so we had to find interesting positions. This entry was posted in fly fishing, moving, road trip, travel and tagged adventure, Alaska, Amanda, Canada, road trip, travel by Rory. Bookmark the permalink.